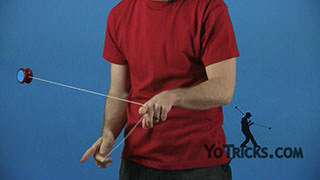 This trick is called Seasick and it looks like this. 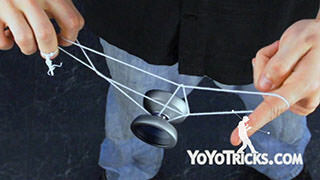 Seasick is not the most complicated trick but it can take a little while to get down just because it is a lot of fast motions. 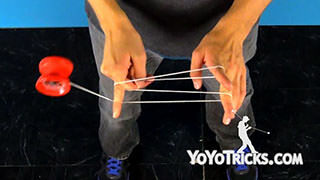 I’m going to show you the basics right here on how to do it. 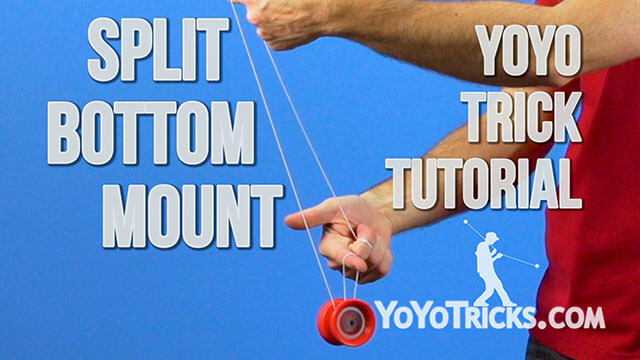 The first thing you want to do is get into your Split Bottom Mount. 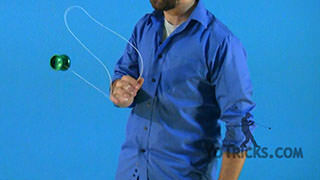 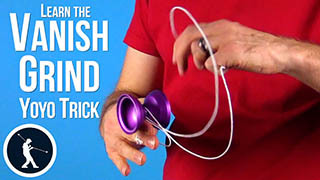 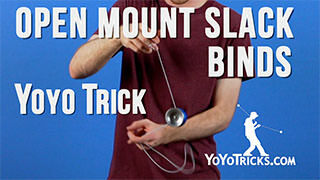 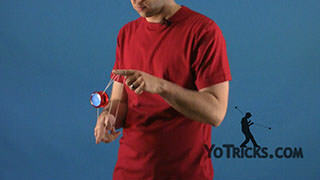 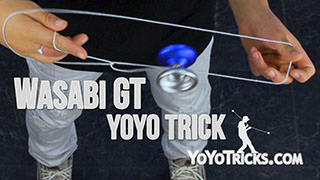 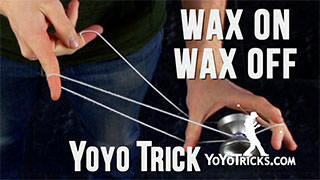 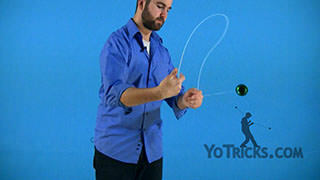 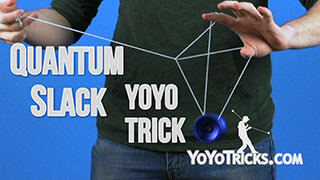 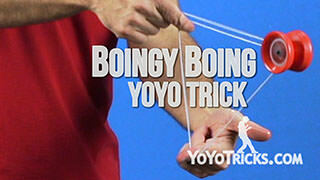 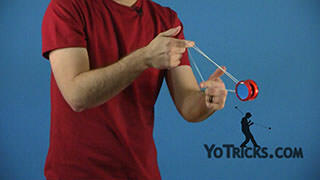 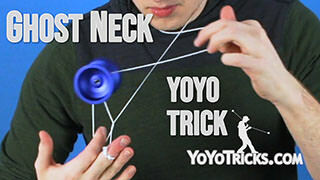 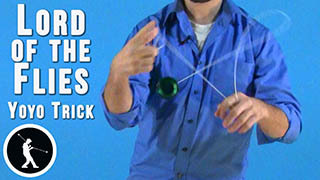 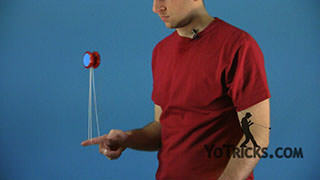 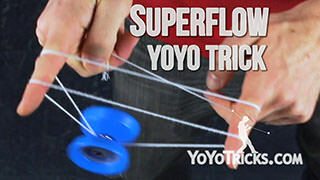 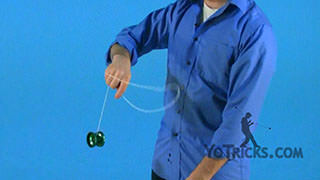 All the trick really is is you are just bouncing back and forth right over your yoyo hand just like this. 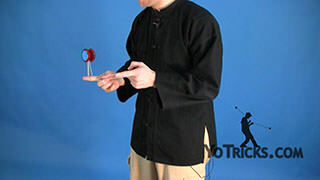 By doing it just a little bit above your head and then you are going to make kind of a wave motion with your hands that is going to create the right effect that you want. Again, you get it on your Split Bottom Mount. 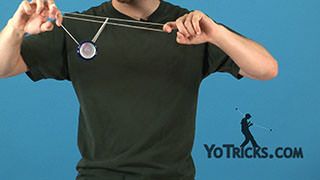 You are going to start it off back towards yourself. 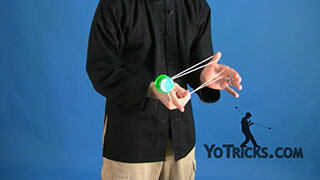 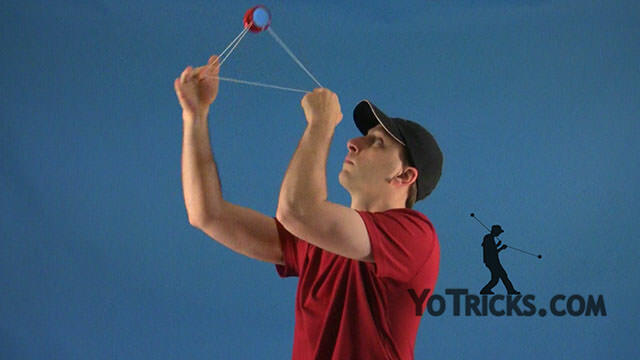 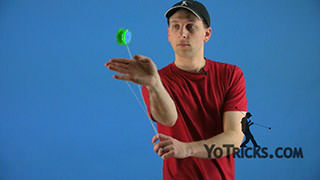 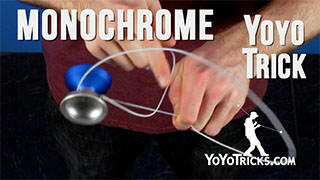 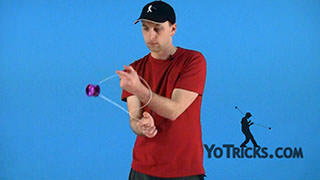 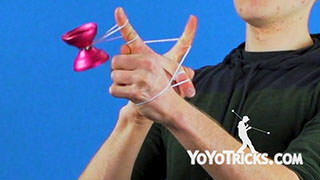 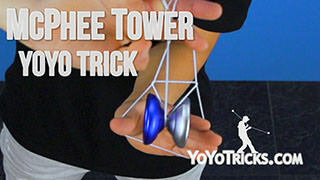 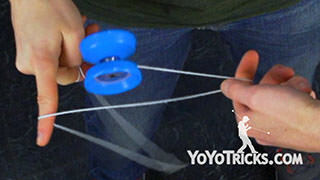 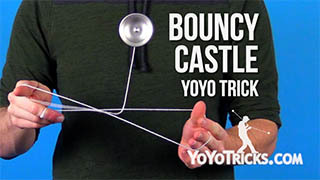 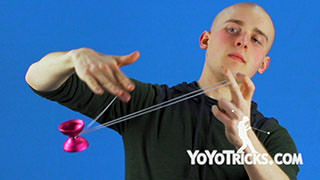 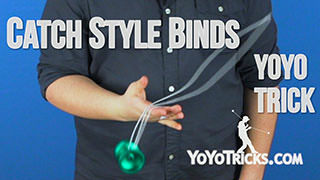 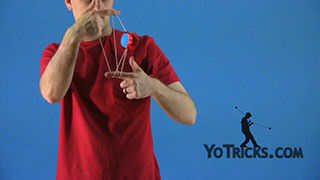 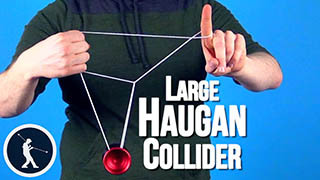 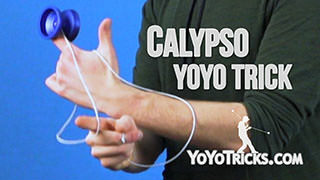 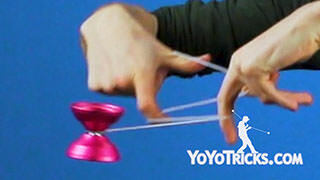 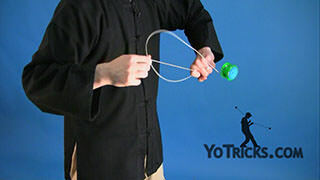 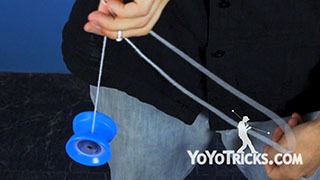 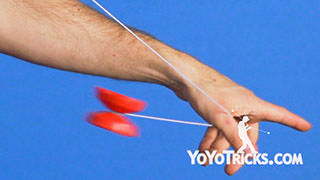 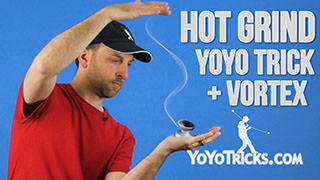 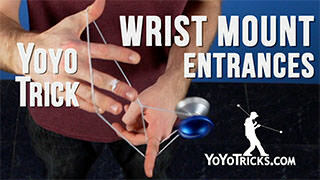 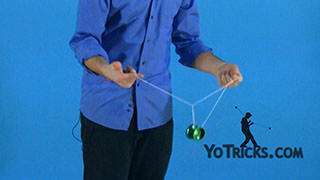 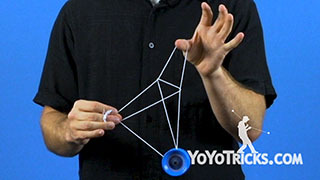 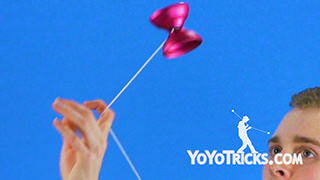 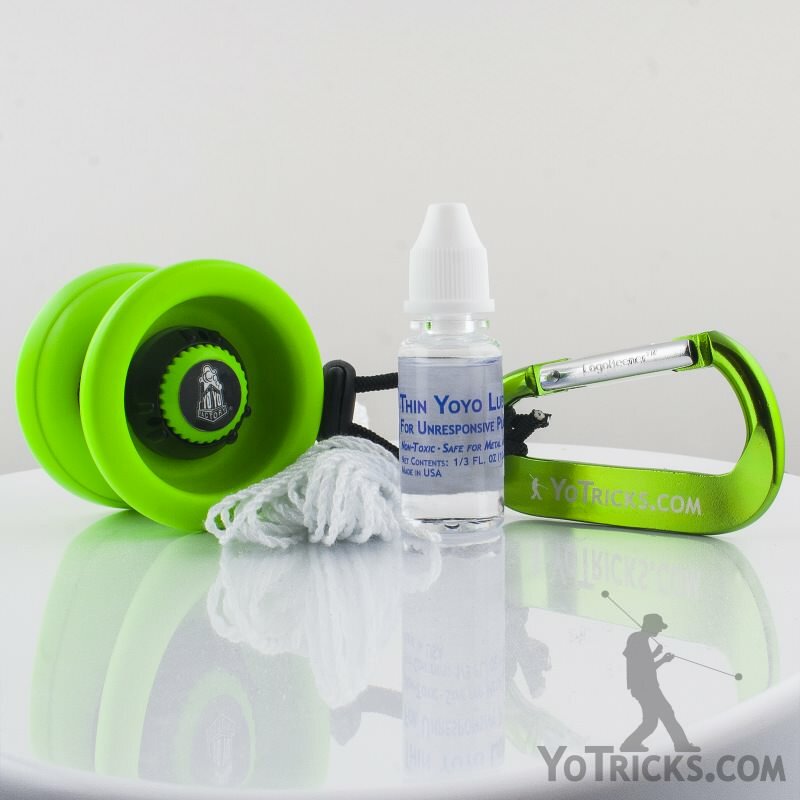 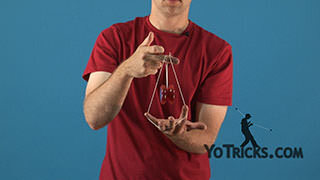 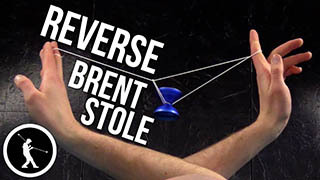 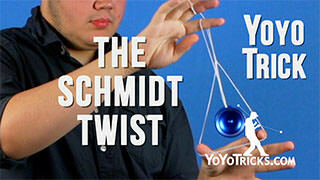 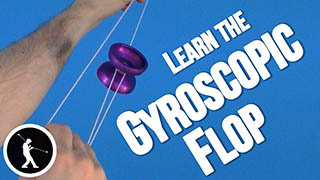 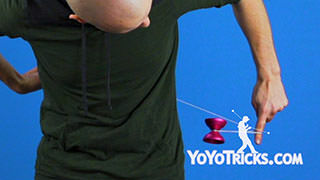 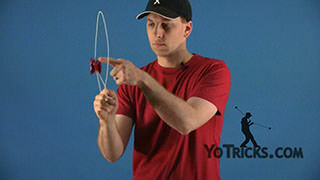 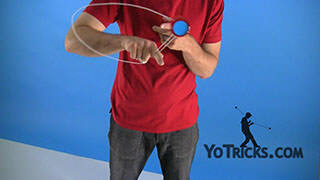 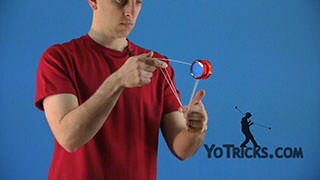 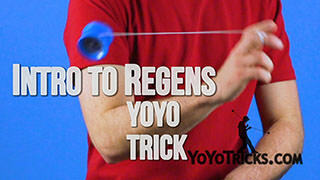 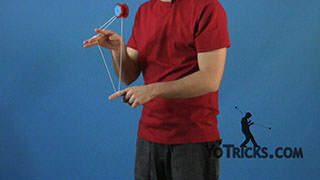 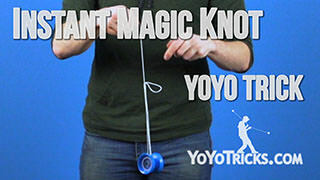 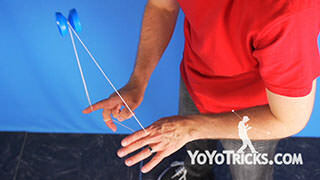 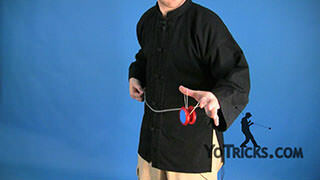 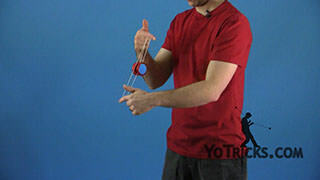 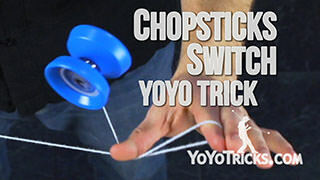 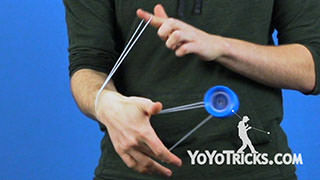 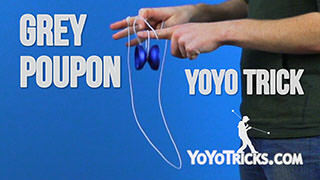 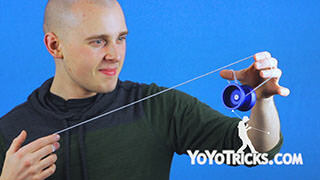 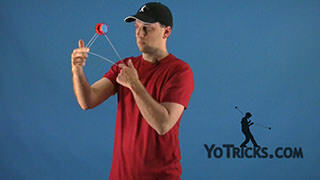 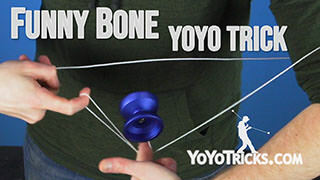 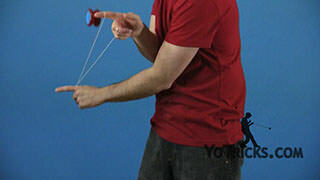 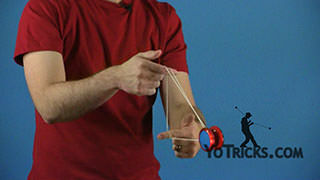 You are going to pull down with your opposite hand and you are going to pull up with your yoyo hand. 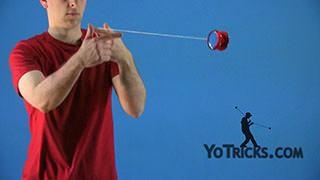 See how that causes it to go up into that top string a little bit? 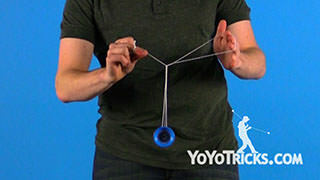 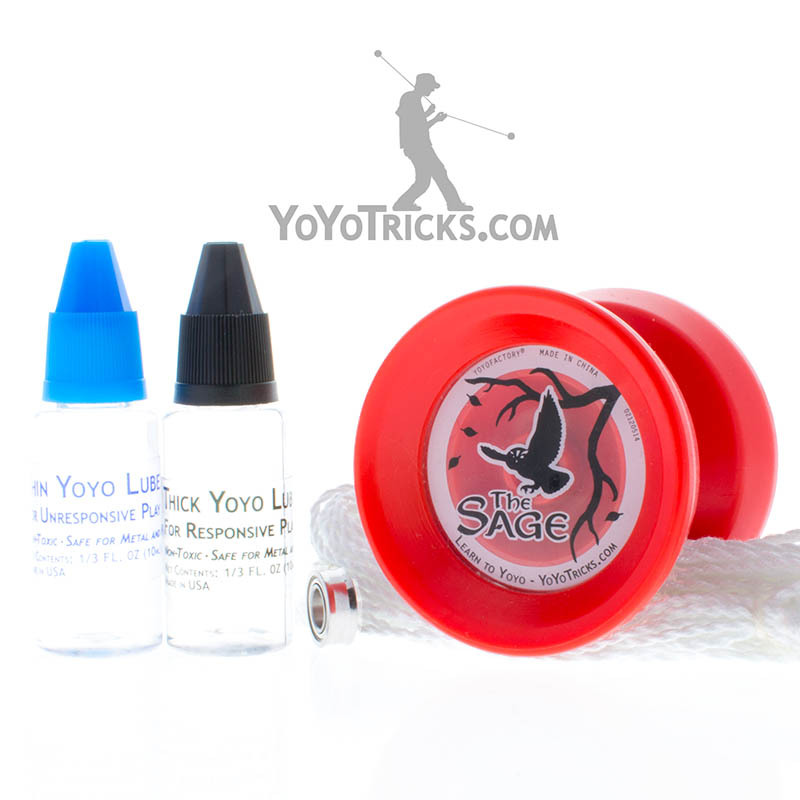 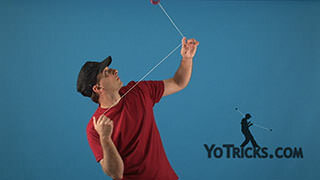 Then the goal is just to try to catch it again on the bottom string when the yoyo falls back down without it getting any slack and coming back to your hand. 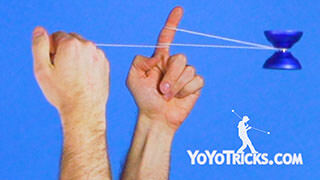 Usually, when I am doing the trick, what I work on is really aiming to make sure that I hit that bottom string. 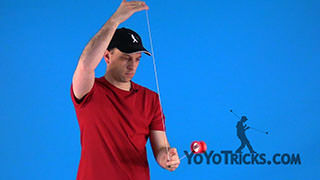 That is the string that is the easiest to miss. 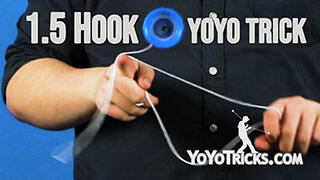 As long as I can hit that bottom string then I can keep the motion of the yoyo going. 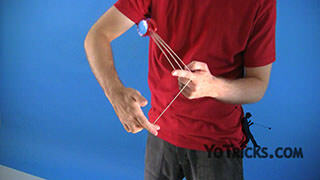 Again, it is not too complicated, just give it some time.